, also known as Mar Thoma XI and born Kurien (1785 – May 17, 1825) was Malankara Metropolitan from 1817 to his death. Dionysius had a long career in the Malankara Church prior to his consecration as Metropolitan. It was his suggestion during the time of Mar Thoma IX to establish the Syrian seminary at Kottayam, Kerala's first educational institution. He also welcomed some of the first missionary teachers who arrived from England to teach in the seminary. In 1816, following the death of Mar Dionysius II, who had not appointed a successor, Kurien was named vicar-general by Mar Philexenos of the Malabar Independent Syrian Church and was subsequently consecrated by him. Kurien, who later became Mar Dionysious, was born in 1785 in the well known Punnathara family, Kottayam. Kottayam Cheria palli (St.Marys Orthodox Church). Mar Dionysius III, also known as Mar Thoma XI and born Kurien (1785 – May 17, 1825) was Malankara Metropolitan from 1817 to his death. Kurien, who later became Mar Dionysious, was born in 1785 in the well known Punnathara family, Kottayam. Soon after his ordination he was appointed as a priest in his home parish Kallumkathra. As a representative of his parish he attended a number of meetings connected with the establishment of the Syrian Seminary. Due to the sudden demise of Pulikkottil Joseph Mar Dionysious I (Mar Thoma X), on November 24, 1816. It was at this time the government wanted to give the interest of the Vattipanam to the church. So the British resident called a meeting of the Diwan (prime minister) of Travancore and elders of the church at Ernakulam. This meeting decided to appoint Geevarghese Mar Philexenos (Kidangan) (1811–1829) of the Malabar Independent Syrian Church, who consecrated Pulikottil Joseph Mar Dionysius in 1816, to be the Malankara Metropolitan. This was accepted and Maharajahas of both Travancore and Cochin issued royal proclamations to confirm this. Mar Philexenos collected the interest of the Vattipanam (Fixed Deposit) from 1816 to 1829 (till his death) and paid it to the Malankara church and Kottayam Syrian seminary. But Geevarghese Mar Philexenos did not want to take over the Malankara church. So he convened a meeting of the representatives of the parish and they selected Punnathara Kurien Kathanar as the next Metropolitan. Kurien Kathanar handed over the responsibilities of Kallumkathra parish to Kaithayil Geevarghese Malpan. After the historic Coonen Cross oath in 1653, it became necessary to appoint a bishop. For this purpose a special chair was made and the first bishop of Malankara church was enthroned. This throne, used for the consecration of Mar Thoma I, is in the possession of the Mar Thoma Church and is kept at Tiruvalla. It has been used in the installation of every Mar Thoma Metropolitan, to this day, so that the continuity of the throne of Mar Thoma is ensured. This was the throne used for the consecration of Kurien Kathanar. Punnathra Kurien Ramban was consecrated by Geevarghese Mar Philexenos (Kidangan) of the Malabar Independent Syrian Church on October 19, 1817. 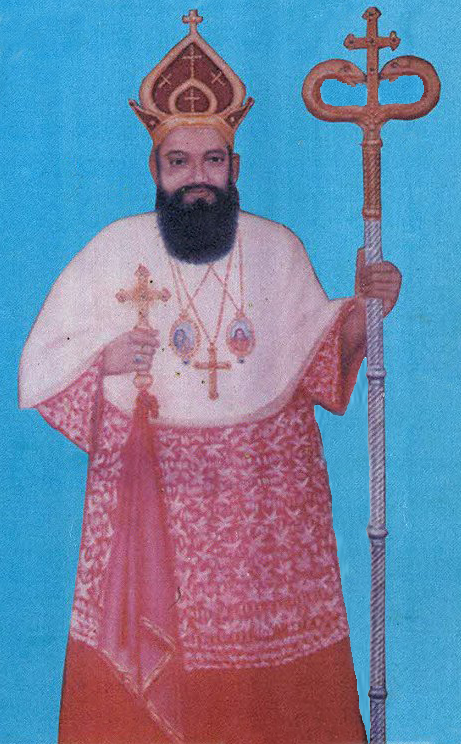 Because Mar Philexenos was not a bishop of Malankara church, Punnathra Kurien Ramban was given the episcopal title Punnathra Mar Dionysius. Punnathra Mar Dionysius was pressurised by Angilican missionaries who wanted to reform the Malankara Church. A meeting was held on December 3, 1818 at Mavelikkara to study the changes that can be implemented. To suggest improvements to be made in the church, a six-member committee was appointed. Palakunnathu Abraham Malpan, Konattu Varghese Malpan, and Kaithayil Geevarghese Malpan were among them. Anglican missionaries began to arrive in Kerala. Rev.Thomas Norton arrived in Kochi on May 8, 1816, and began to open schools in and around Alappuzha. Rev. Benjamin Baily arrived in October 1816 and established a printing press at the Syrian Seminary in Kottayam. He also began to translate the Bible into Malayalam. During the time of Punnathara Mar Dionysious Rev. Joseph Fenn arrived in 1818 October and was made the principal. Rev.Henry Baker arrived in 1819 April went round the parishes establishing schools near the churches. During the time of Punnathara Mar Dionysious the relation with Travancore and Cochin was very cordial. The Ruler of Travancore Rani Gouri Parvathi Bhai, gave a number of privileges to Kottayam Seminary. For the first time in Travancore in 1818, Maha Rani appointed a number Christians as Judges. By 1825 there was an outbreak of Cholera in Kerala. A number of people lost their lives. Due to this disease, Punnathara Mar Dionysious died on May 17, 1825 and was interred at Kottayam Cheria palli (St.Marys Orthodox Church).